It would be quite a surprise is Steve Jobs did the honors. Will Steve Jobs do the iPad 2 unveiling honors, or will it be Apple Chief Operating Officer Tim Cook? 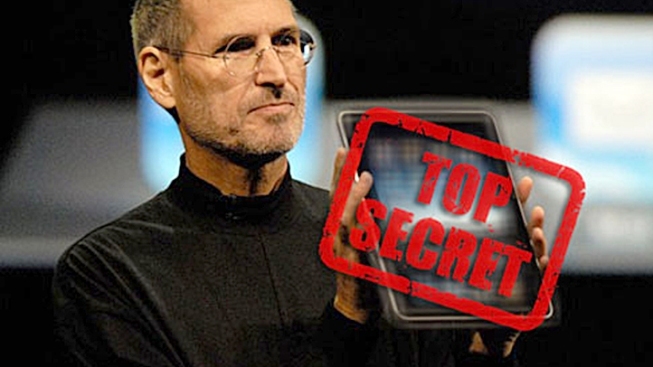 UPDATE: So the rumor mill has begun spinning with abandon over Steve Jobs' hoped-for appearance at tomorrow's iPad 2 unveiling. Silicon Alley still thinks it unlikely, as it would steal thunder from the new executive crew. But it would settle down investors, well, investment houses, if Jobs appeared. Maybe a video statement would do the trick? Italian blog site setteB.it had a post this morning, too. Yes, Applewill unveil the iPad 2 this week. Whoopee. My excitement, as you can tell by the lack of an exclamation point above, is surprisingly muted. Given the rampant speculation and build up, I kinda know what iPad 2 will be packing, and it doesn't thrill me. Maybe it's because suddenly I can't metaphorically walk two feet on the net without tripping over some new tablet announcement and I'm just sick of the whole stupid subject — a year ago everyone laughed at Apple's folly, a year later these bandwagon-jumping soon-to-be immensely disappointed morons think they're each going to sell 10 million units. Maybe Apple will surprise us with something unexpected like it did in a bad way with a non-LTE Verizon iPhone 4, with a minor interim iPad 2 update with a major upgrade delayed until the fall. Maybe Apple will happily surprise. Maybe. But mostly maybe it's because I'm afraid, as Snoopy once cynically mused, my anticipation may exceed the actual event. Maybe. But what maybe appears on the Yerba Buena Center for the Arts stage in San Francisco next week to me isn't as important as who maybe appears. 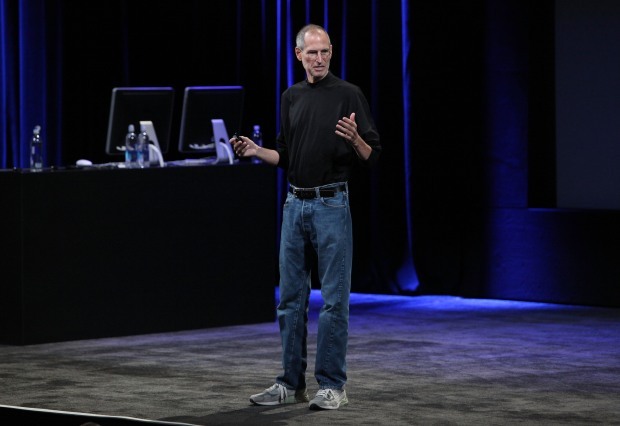 If Jobs is absent, it will be a black day without the black turtleneck. Over the last century, there have been fewer and fewer American companies with highly-recognizable visionary founders who still have day-to-day oversight over their company's fortunes. Once Jobs vacates — or doesn't take — the stage, who picks up the mantle as the most admired American technology entrepreneur CEO? Mark Zuckerberg? Yuck. Do people even know who Larry Ellison, Reed Hastings or Jeff Bezos are? But of more import, if Tim Cook steps up, what happens to consumer confidence in Apple? According to a recent Changewave/RBC Capital poll, nothing. Earlier this year, the pair polled nearly 3,100 folks asking, "If Steve Jobs were to step down as the CEO of Apple, what effect — if any — would it have on your likelihood of buying Apple products in the future." Only 7 percent said Jobs' absence would make them less likely to buy Apple going forward, and 84 percent said it would have no effect. That makes sense. Dispassionately, products are products. People kept buying Fords after virulently anti-Semitic Henry Ford went senile in 1945, after the company named a car after Ford's son Edsel and even after it built a car with a (supposedly) exploding fuel tank. "Will we still buy the products?" is a sterile question and a sterile way of looking at Jobs' health situation. There'll be more of a sad Lou Gehrig gone-too-soon feeling about Jobs if it's Cook on stage instead, as opposed to, say, a Bill "I have enough money not to work anymore" Gates departure. Should Jobs not show next Wednesday, we know it's because of tragic circumstances beyond his control. That creates an emotional aspect to our relationship with Apple, a company who's personality is so tightly wound up in its founder's cult of personality. Apple and Jobs' have both become mythical rags-to-riches-to-rags-to-riches American comeback stories, and Jobs carries a can-do aura that looms above all American CEOs. But Wall Street isn't necessarily known for its sentimentality. 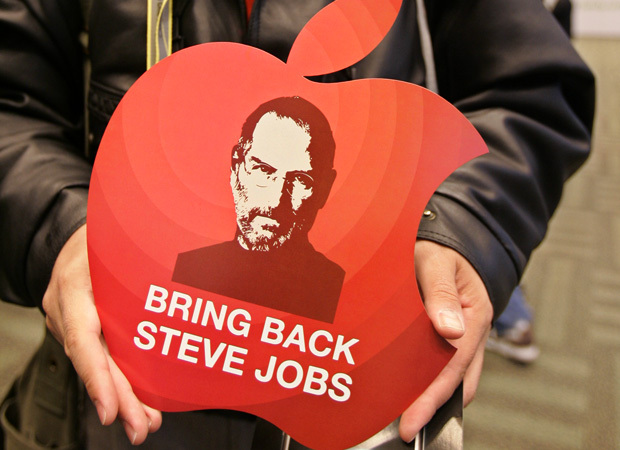 All the moneybags want to know is, will/can Apple succeed post-Jobs? The odds aren't favorable. In the gadget business, a visionary founder's departure has not boded well. After David Sarnoff ended his 50-year reign over RCA in 1970, for instance, the company that dominated the consumer electronics business like no other before or since quickly disintegrated. Sony's decline as the consumer electronics business leading company began after co-founder Akio Morito stepped down in 1994 after suffering a debilitating stroke. Microsoft continues to prosper as Gates does his Andrew Carnegie memorial evil-tycoon-to-beloved philanthropist make-over, but the company has been surpassed by Apple as master of the tech domain. Yes, there are plenty of companies that continue to operate successfully after their founders have left — Dolby, Intel, HP, even Motorola. But for every exception you can name there are dozens of other companies that foundered after their founders' departure — Ampex (Alexander Poniatoff), Fisher (Avery Fisher), Koss (John Koss), Zenith (Eugene McDonald), to name a few. Wall Street's dilemma is, do Apple's post-Jobs prospects resemble Intel's or RCA's? Of course, we could get a mixed message. Jobs could shuffle onto stage to a standing O, make a few "luckiest man on the face of the earth" remarks, then hand the slide show clicker to Cook and gracefully exit. Either way, it's the who, not the what, that perks my interest in next Wednesday's activities.